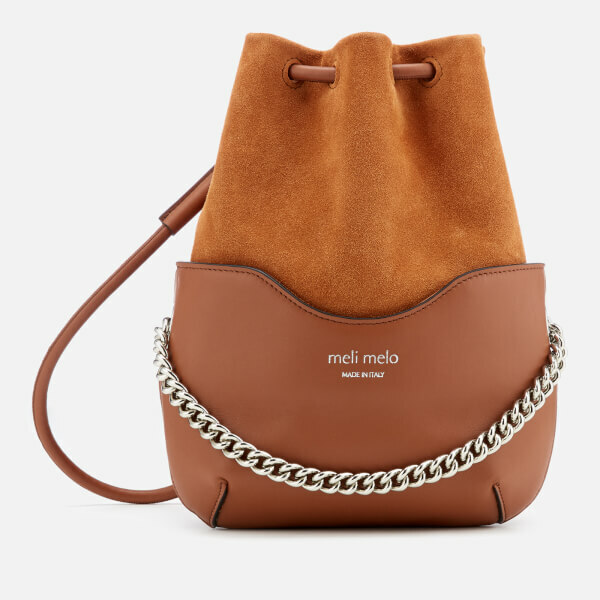 Women’s ‘Hetty’ cross body bag from meli melo. 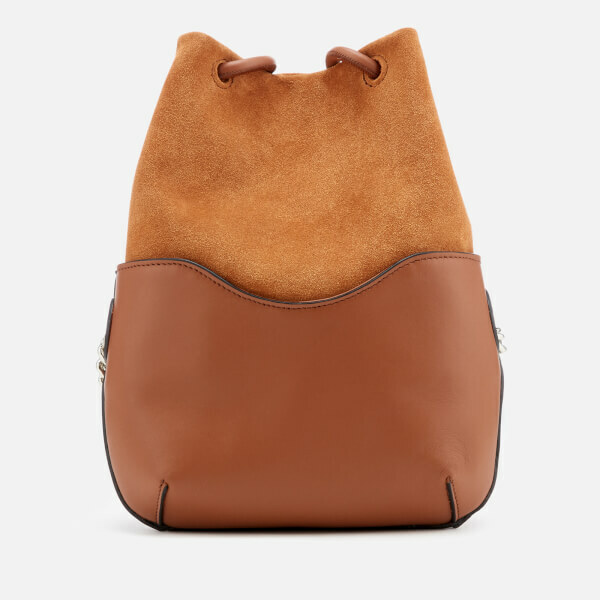 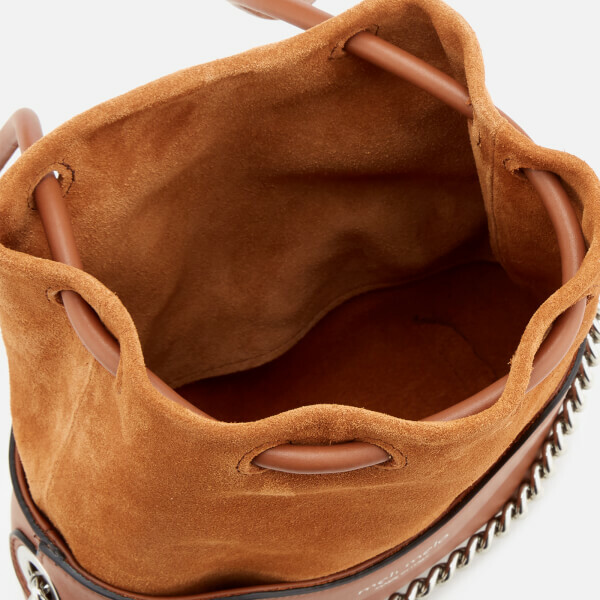 Crafted from luxurious Italian calf leather and suede, the bag fastens with a drawstring strap, which can be adjusted and worn across the body or with two handles over the shoulder. 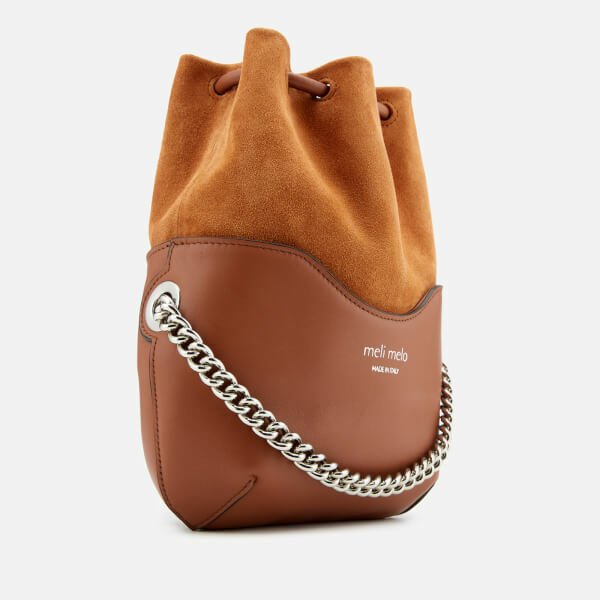 With a spacious, suede-lined interior and external silver-tone chain detailing, the bag is finished with signature foil branding to the front.